(Nanowerk News) Scientists from A*STAR in Singapore and the USA have developed a fast bioluminescence imaging technique that may greatly assist in the search for drugs that target mobile—or metastatic—cancer cells ("A screening platform for glioma growth and invasion using bioluminescence imaging Laboratory investigation"). Chemotherapy treatments for this type of cancer using ‘anti-migratory’ drugs are important because some of the most mobile cells that cause metastasis can resist conventional cancer drugs. This is a problem because patients tend to be at greater risk of developing metastases over the extended survival periods associated with modern cancer therapies. Using zebrafish as a model organism, researchers could spot as few as eight cells undergoing metastasis from glioblastoma multiforme (GBM)—the most common and aggressive type of brain tumor. Embryos of Zebrafish could provide important insights into the spread of cancer throughout the body. The team, including Beng-Ti Ang from A*STAR's Singapore Institute for Clinical Sciences and co-workers at the University of Singapore and the Methodist Hospital, Cornell University, USA, used a method called gene transfection to develop GBM cells that express a gene from fireflies, causing them to emit light in a process known as bioluminescence. They assessed the ‘invasiveness’ of the cells by measuring how quickly they moved through a three-dimensional matrix, and found that the most invasive cells express a gene that makes them more mobile. The same gene has also been correlated previously with reduced patient survival. 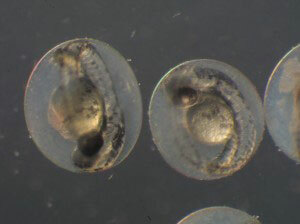 The researchers then injected the GBM cells into zebrafish embryos, and observed tumors in the embryos a few days later. By placing the embryos under a charge-coupled device camera, they were able to watch the bioluminescent tumor cells growing and moving around the body, invading other organs. “The advantages of the zebrafish are that it is transparent under microscopy imaging, has a fast development cycle (major features are seen within 24 hours after birth), and it is a vertebrate animal,” explains Stephen Wong of the Methodist Hospital. Furthermore, the zebrafish tumors have genomes and development processes very similar to human cancers. This new bioluminescence screening platform represents a unique real-time method for observing small numbers of cancer cells in a live animal. It is cheaper, easier and far more sensitive than existing imaging methods such as positron emission or computed tomography scanning, or magnetic resonance or fluorescent imaging. Furthermore, the discovery of a genetic subset of highly invasive GBM cells could help greatly in the development of drugs that target tumor-initiating cells. The team plans to use the platform to screen anti-migration and invasion candidate compounds for GBM treatment and extend the platform for drug screening in other invasive tumors and for drug combination studies.